Melissa Etheridge in Montreal or Quebec City? Inform me about the next events for Melissa Etheridge. Enroll yourself to our priority waiting list for Melissa Etheridge to be alerted when new tickets are available. Filling this form doesn't engage you to any purchase. 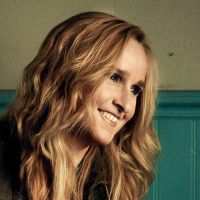 Melissa Etheridge is coming back to Montreal on September 27th, 2015 for a concert at the Theatre Maisonneuve of La Place des Arts. She will also be performing at the Quebec City Capitole, on September 23rd. Melissa Etheridge was last seen in Montreal in 2012, at La Place des Arts as well. Don't miss the show! A wonderful evening with Melissa Etheridge, solo, presenting her latest album This Is M.E. and her many hit songs such as Come to My Window, I’m The Only One and I Want to Come Over !